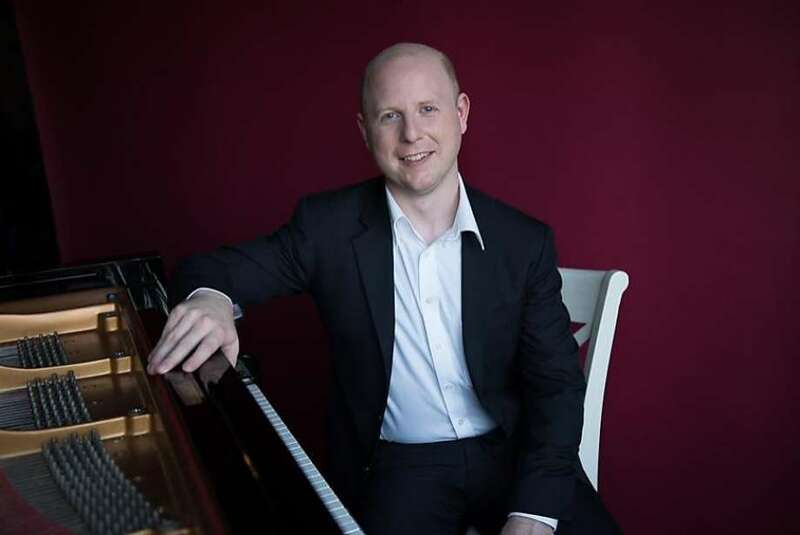 Praised for his “delicate keyboard touch and rich expressivity” (San Francisco Chronicle) and “dazzling pianism” (Sarasota Herald Tribune) Jeffrey LaDeur enjoys a busy career as a soloist, chamber musician, and educator. LaDeur’s rare blend of spontaneity, tone color, and sense of architecture has distinguished him as an artist of international caliber. Jeffrey’s performances have taken him around the world from the Kennedy Center for the Performing Arts and Carnegie Hall to San Francisco Jazz Center and Bach Dancing and Dynamite Society, from Eastman Theater and the Banff Centre to the Shanghai Conservatory and Orlando Festival in the Netherlands. LaDeur is the pianist and founding member of the acclaimed Delphi Trio, Founder and Artistic Director of New Piano Collective and the San Francisco International Piano Festival. LaDeur is an active recitalist known for juxtaposing diverse repertoire to illuminating effect. In addition to a deep grounding in the standard repertoire, Jeffrey collaborates frequently with living composers and has premiered works by William Bolcom, Sahba Aminikia, Ittai Rosenbaum, and Paul Nauert. In 2015, LaDeur began a series of curated programs exploring Debussy’s complete solo piano music in the context of his influences and inspirations. In addition to recitals, lectures, masterclasses, and writings on this subject, LaDeur’s debut album, featuring works by Debussy and Rameau, was released on the MSR Classics label, garnering acclaim as “a masterpiece of understatement, simplicity, and ‘old school’ chord-playing where every note sings out with meaning” (Gramophone). Forthcoming engagements include recitals at the International Piano Series at the College of Charleston, Valley of the Moon Music Festival, and a guest artist residency at the University of Oklahoma. As soloist with orchestra, Jeffrey maintains a repertoire of over forty concerti. Recent performances include the west coast premiere of Paul Juon’s Episodes Concertantes (1910) with the Oakland Symphony, Beethoven Concerto no.4 with members of the South Dakota Symphony, Tchaikovsky Concerto no.1 with the Denver Philharmonic, and Shostakovich Concerto no.1 with the San Jose Chamber Orchestra and trumpeter Mark Grisez. Conductors with whom LaDeur has collaborated include George Cleve, Michael Morgan, Barbara Day Turner, Lawrence Golan, and Ming Luke. The 2018-2019 season will feature LaDeur as soloist with San Francisco Chamber Orchestra and Benjamin Simon in works by Beethoven and Mozart, Symphonia Caritas led by Paul Schrage in Chopin’s Concerto in F minor, and the Cambrian symphony in Brahms’ Second Piano Concerto under the direction of Scott Krijnen. A passionate chamber musician, LaDeur concertizes internationally with the Delphi Trio. The Trio has been presented by the Great Lakes Chamber Music Festival, Artist Series Concerts of Sarasota, the Smithsonian Museum, and Chamber Music Concerts in Ashland Oregon where Delphi gave the world premiere of William Bolcom’s first Piano Trio, dedicated to the ensemble. Prize winners of the 2015 Orlando Competition in Kerkrade, the Delphi Trio has performed throughout the Netherlands, Germany, and Belgium, including a broadcast for Dutch Radio 4. 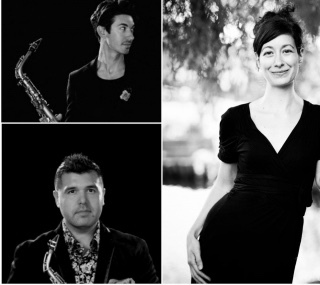 In addition to his activities with the Trio, Jeffrey has collaborated with artists such as Robert Mann, Bonnie Hampton, Geoff Nuttall, Ian Swensen, Anne Akiko Meyers, Toby Appel, David Requiro, and the Alexander, Telegraph, and Afiara Quartets.